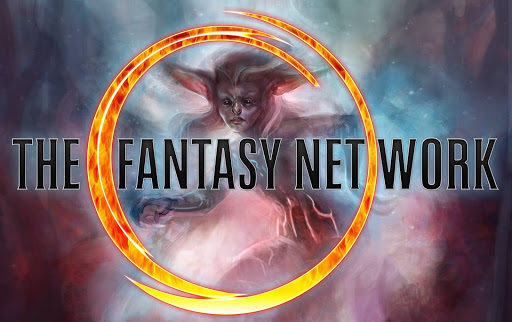 The Fantasy Network, a joint venture of Arrowstorm Entertainment (The CW’s The Outpost), The Forge Studios (The Rangers), and Zombie Orpheus Entertainment (JourneyQuest) invited their audiences to early access at Gen Con Indy 2018. It is now available to the public. The Fantasy Network is a freemium SVOD service with a mission to make creator-owned content accessible, shareable, and discoverable across the web, rather than locked behind a paywall. Subscribers receive first access to new releases and to a host of unique features, including the ability to contribute to wikis for each show and to help greenlight new seasons of their favorite shows for production. The Network is positioned as a global hub for independent fantasy films and series, including syndicated, new, and original content. Each partner has contributed their own libraries of content to the network, including the Mythica series, The Rangers series, and The Gamers. They have licensed award-winning fantasy content from dozens of other independent creators, notably fan favorites Ren: The Girl with the Mark, AFK, and One Hit Die. They also feature a special channel dedicated to original digital programming from Gen Con LLC, the biggest gaming convention in the United States. “Think of us as your first destination for original Fantasy Content”, says Ron Newcomb, owner of The Forge Studios. The network offers a premium subscription membership, as well as a significant library of free content. As a fan-supported and creator-distributed endeavor, the network not only directs support from subscriptions to the production of new content, but actively runs crowdfunding campaigns for the network’s content providers to empower fans to keep the stories that they love alive. They most recently worked, in parallel with Telus, to renew Canadian comedy One Hit Die for a third season. But, what else makes them different? They invite content creators and fans to create their own commercial spin-offs in many of the worlds they have brought to life, via their opt-in Shared Cinematic Universe License Agreement (http://scu.la). Third-party films and series created under this license, beginning with the Strowlers Shared Cinematic Universe, will be eligible for distribution and revenue share on the network. Inspired by the Open Gaming License and the Creative Commons phenomenon, the SCULA is a filmmaker-friendly copyright alternative that empowers interconnected global storytelling and cultural exchange. “Stories want to be free. By enabling storytellers to remix and reimagine the intellectual properties participating in the SCULA, we keep stories alive and relevant, rather than creating copyright orphans. This active and collaborative dialogue empowers fans and creators to set their imaginations free,” says Ben Dobyns of Zombie Orpheus Entertainment and CEO. The trio of established production companies have each found success in the indie film world and are looking to bring their experience and skills together under one roof for the benefit of all. “We waited around long enough for someone else to do this, it’s now our time,” says Jason Faller of Arrowstorm Entertainment. The network has launched with the proven streaming platform established by Zombie Orpheus and is now available on many IPTV apps. No matter the device or browser, they want you to have easy access. The Fantasy Network is currently available on iOS, Android, Apple TV, Chrome TV, Roku, and Amazon Fire. As in many fantasy stories, this is about a journey against the odds. But as fantasy teaches us, we’re stronger together. 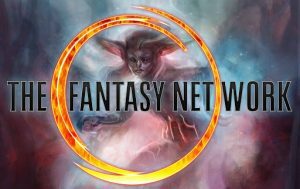 The Fantasy Network looks forward to inviting more producers, subscribers, and contributors into their active community. The Fantasy Network, LLC, is a privately-owned, Seattle-based independent film company. It looks to be a one-stop shop for all things fantasy. For more on the network, go to www.TheFantasy.Network.